The Premium models are designed for active and passive device applications, where versatility is the main priority. These are high performance two-port VNAs that include step attenuators, internal bias tees, a gain compression application and wider power range as standard features. They are available in four different frequency ranges, namely 20 GHz (37347D), 40 GHz (37369D), 50 GHz (37377D) and 65 GHz (37397D). 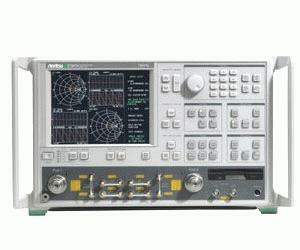 Each model can also be configured as an ME7808B millimeter-wave VNA by simply adding a millimeter-wave test set, two synthesizers and the desired mmW modules. The 37397D VNA is also directly upgradeable to a ME7808B Broadband (40 MHz to 110 GHz) VNA.